Saving money can be challenging these days. There are so many expenses within daily life that by themselves seem insignificant. However, they can add up quickly, consuming a significant amount your income. When looking at all of your regular expenses together at once, the thought of reducing them and saving money can seem daunting. From cars and homes to food and entertainment the list of expenses seems endless. Similarly, trimming costs and being strategic about how to meet financial needs can also add up to meaningful savings. Addressing a handful of these expenses one by one, here are suggestions to help you save more money now. This is the most obvious first step to eliminate the expenses that are not necessities. We’re not suggesting you become a hermit living in a van down by the river. We are, however, suggesting you evaluate what might be a frivolous expense that you can easily live without. Think one of our favorite financial principals: forced scarcity! Never underestimate the power of entertaining yourself, friends, and family at home instead of going out. You can still enjoy a film, nice dinner, perhaps cocktails and music… but at a fraction of the price. You will be surprised how refreshing hosting a game night in your home can be. Buying lunch at work can seem like a small expense but this expense can really add up if you’re not careful. It is not uncommon for a moderately-priced lunch to be $10. That’s $50 per week and $200 a month, which could be a car payment. An easy way to stretch your food dollar even further is to make a little extra dinner and take the leftovers to work for lunch. Find a nice place to relax, people watch, and relish in your savings. The cost of gasoline adds up quickly if you drive to work by yourself each day. Consider participating in a carpool/ride-sharing program, cycling, or taking public transportation to work if you can. Ride sharing can cut your gas expense way down and public transportation like buses or trains is not only cheaper than gas, it provides you time to read or even catch a few winks. As summer draws near, an upcoming vacation may not be far off. When reviewing your choices, exercise a little restraint and consider a “staycation” in lieu of a costly vacation away. Staying in your home and hometown eliminates the hotel and travel costs. Even if you elect to get accommodations near where you live, there are often discounts for locals and you still save on airfare. Being a tourist in your own city/town can be a lot of fun and with little to no travel time or travel stress, your vacation lasts even longer -a benefit that is well worth more than money spent. Let’s talk about food. If you pay attention to our choices in the grocery store and prioritize price over luxury, your daily expense on food can drop. Additionally, consider buying some items in bulk, looking for “two-for-one” specials, using coupons, and storing/freezing the extra items you bring home. And, don’t forget the earlier suggestion for workday lunches! The sum of numerous and seemingly small choices throughout our regular daily life can have a big impact on your life, freeing up money. Track your regular spending across the categories mentioned above for two weeks. Then incorporate the suggestions for another two weeks. 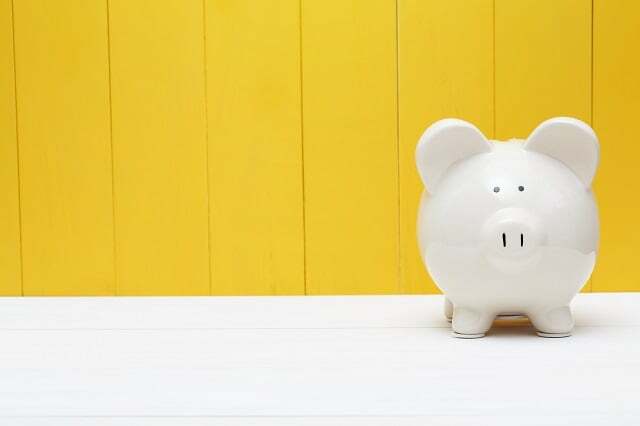 You might be surprised by how much money you saved, which can then be put aside for safe keeping or used to treat yourself. Happy Saving!